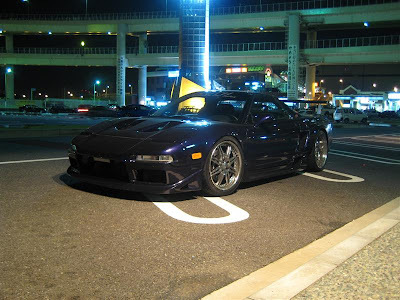 Back in Yokohama and first stop was Daikoku Futo rest stop. 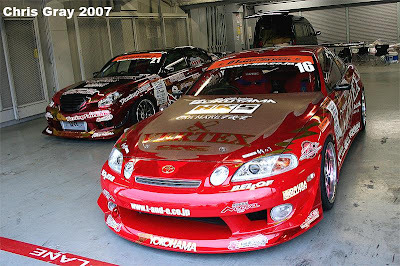 Usually there is a crowd of racers and custom cars, sound system vans and even bosozoku, but tonight was quiet. We got there and most people were leaving thanks to the Police presence...not to worry, always next time! Being Irish, we are not ones to give up the fight. 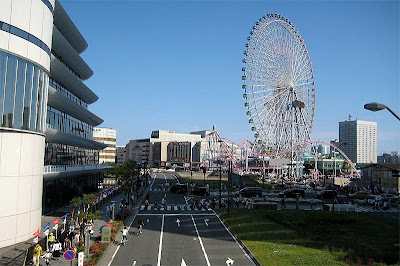 We made our way back to Yokohama to find a nice place and what a place it was. 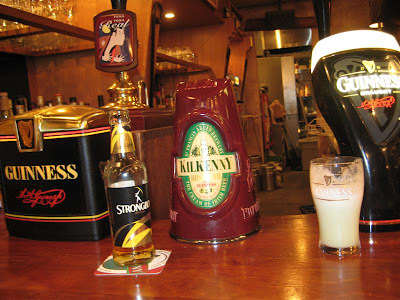 'The Green Sheep' is an Irish Pub in downtown Yokohama. It's great! Live music, good food, drinks, nice atmosphere and friendly people, we stayed here to late on many nights haha, good times! 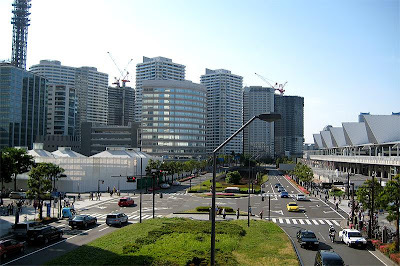 Yokohama, a beautiful city, and one of the most beautiful parts has to be Sakuragicho area, with Minato Mirai! 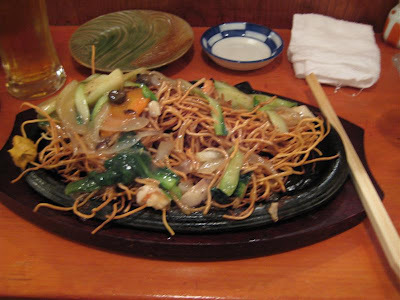 I got enjoy here almost everyday, but never got tired of it. 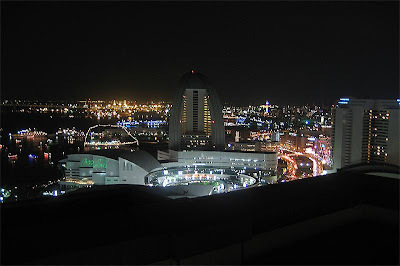 With shopping, entertainment, great restaurants and views, it really is a place you should visit. Go to top of Landmark Tower also...stunning! OK another update. This was a CRAZY day. 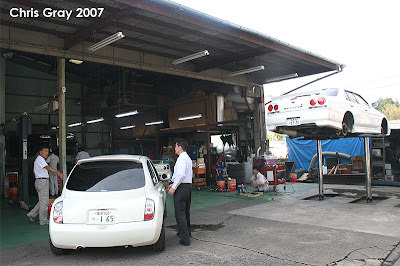 We set off in the diesel, automatic Corolla for a visit to some friends and tuning shops in Kanagawa. 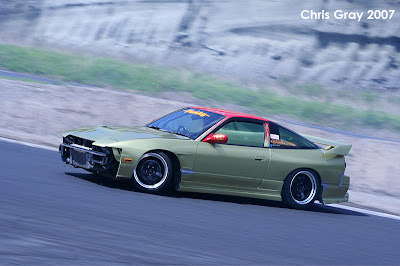 We arrived at Car Make T&E in Tsuzuki-Ku, but after a quick chat we found out Mr.Ueno had left for an early holiday to relax before D1GP at Suzuka. This also meant Sui:Vax (the tuning side of T&E) was closed too. We got some directions and decided to go to WELD, but we later found out that they had moved premises and we didn't have their address, so we were back to square one! After a quick re-think, I decided to drive to Kunnyz! 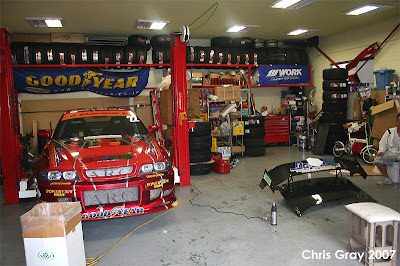 The tuning shop is owned by crazy D1 and 'Night Walkers' driver Kunny Takahashi. After some calls and bad directions (Crazy Kunny HAHA) we finally made it. 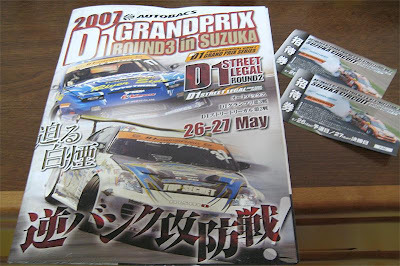 Inside was the D1GP Chaser being finished for Suzuka, and the D1GP Street Legal MarkII. We had a good chat with Kunny and decided to make our way back home. 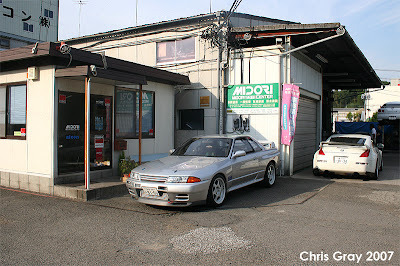 But this is Japan...when driving down the road Ed spotted a yard full of GTR Skylines! 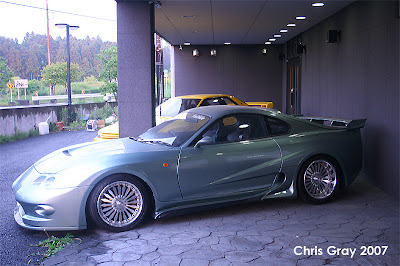 We drove in for a quick look, to find none other than the GTR Tuners Midori! What a find...only in Japan! We were given the full tour and talked alot while looking around, took some photos and left for Yokohama! 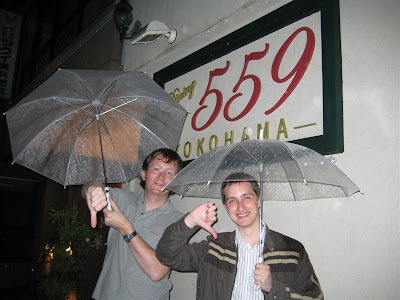 Dinner in Shibuya was on the cards for the night before going our separate ways. 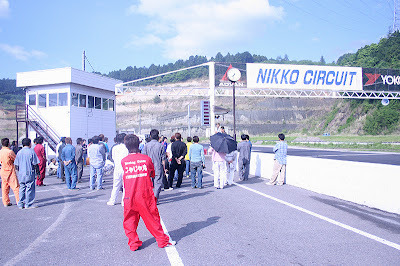 While in the Kanto area, I was invited to Nikko Circuit for a 'Practice Day' by Shino Murai (Shino Kouba Garage, Saitama). 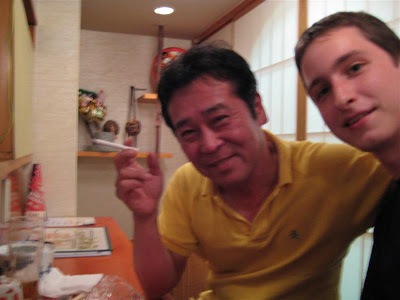 We arrived at Higashi Tokorozawa station by train from Veilside and met with Shino, then went to the garage around 11pm. Shino told me she works from 6am to 2am usually...CRAZY! After some food, chatting and a shower it was off to bed for a few hours sleep. 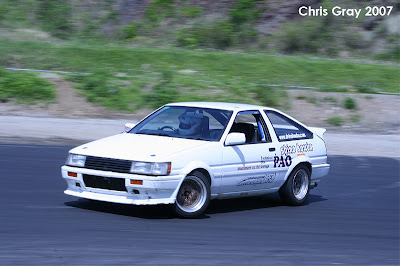 Up again at 5am, we made our way to Nikko Circuit with the AE86 on board. Not too long a drive, and we passed the time with some 80's music Karaoke and holding on for dear life as Shino played 'chicken' with the Toll barriers - SCARY! 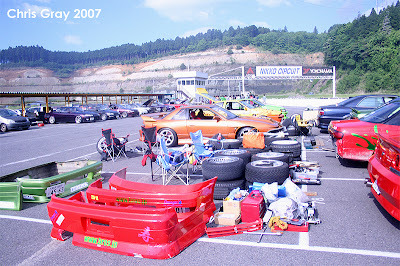 We arrived at Nikko Circuit early to be greeted with about 40 or more drift cars all preparing for today's event. 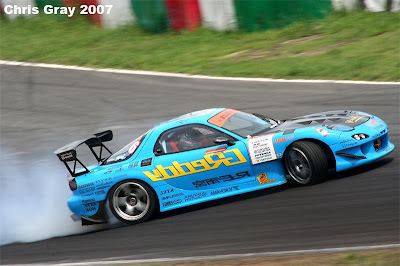 Also on the day there was Time Attack (Grip), which was good to watch also. 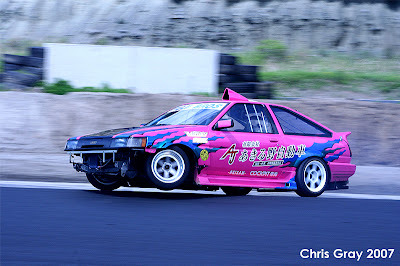 We unloaded the AE86 and got it ready for some action. 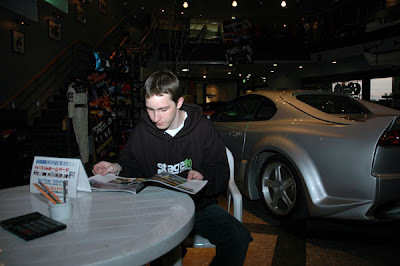 After a quick driver briefing it was good to go. Here are some photos from the day. 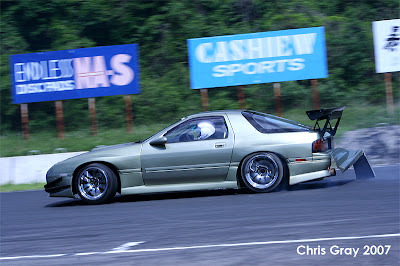 This photo says it all...Drift life! Well after so many people telling me to update my blog, even when I had no computer, here it is. 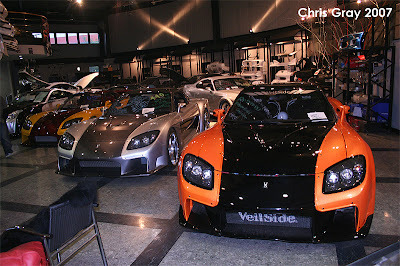 Finally I can start telling you more about my recent adventures and where better to start but Veilside, Japan. 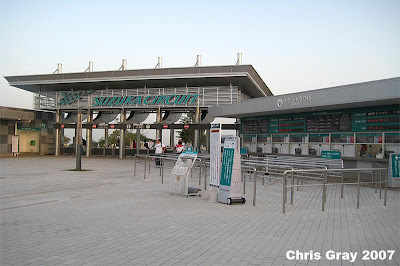 Myself and Ed stepped onto the Tsukuba Express train and were bound for Midorina Station, deep in Ibaraki-Ken. Armed with no directions I ended up calling into a local Tyre shop and asked how to get to Veilside. Now armed with our directions and Map we started walking to we finally got to the Eneos Garage and what was right beside it? 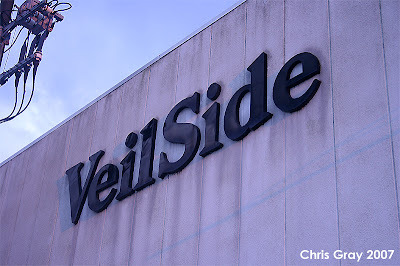 That's right, the famous building we all know so well...Veilside! 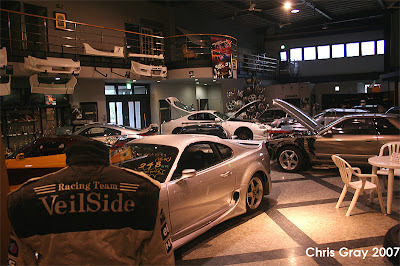 Supra's, Skylines, RX7's,etc all on display, along with TV's, trophies from past events and shows, consultation area,etc the list goes on. Upstairs is more, and a restaurant for guests and customers! After meeting and talking with Yoko Koyanagi (Staff) we enjoyed some tea and relaxed with some magazines while waiting on Yokomaku San. We were very priviledged to meet him, as he is a VERY busy man, but he took time from important meeting to greet us and talk. 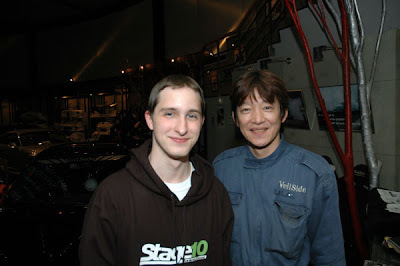 We REALLY appreciated this as Mr.Yokomaku is a legend in the tuning world, as most of you already know.